We present you this Apple gold rainbow lapel pin that we discovered recently. 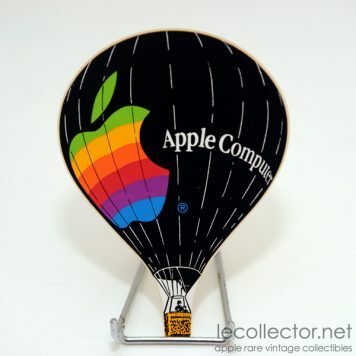 Rectangular and very small size, this lapel pin on the left shows the Apple rainbow six-color enamel cloisonné logo and right Apple brand, using the Garamond font. 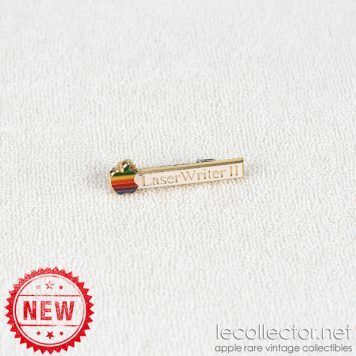 We think this tiny lapel pin is from the late 80s or early 90s. 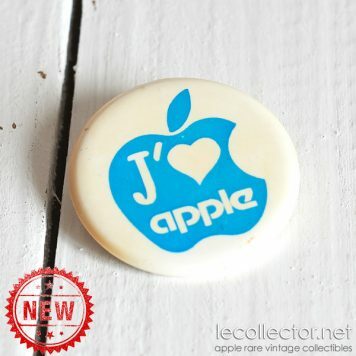 We do not know where it came from, but it is likely that this lapel pin comes from a European country. 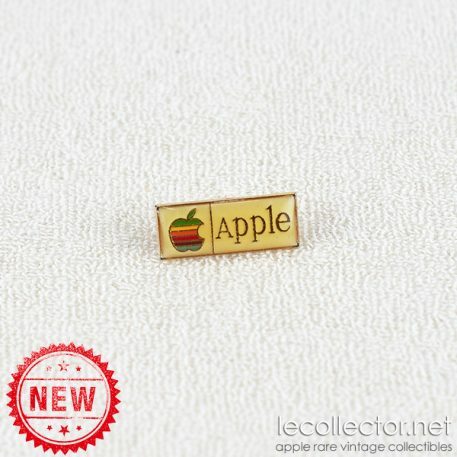 Since the many years we collect the Apple goodies, this is the first time we see this lapel pin and we think it is extremely rare. 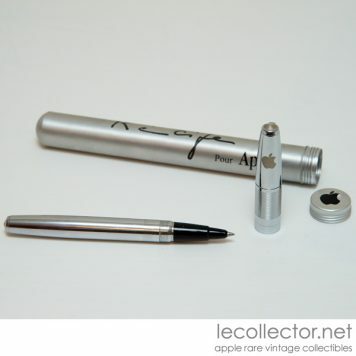 The lapel pin is in excellent condition. This is a 5 Mac ranking, extremely rare collectible. 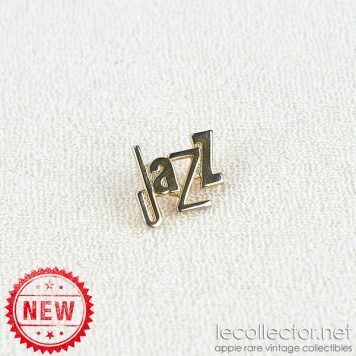 We have only 1 of this beautiful vintage lapel pin in stock, so don’t wait !